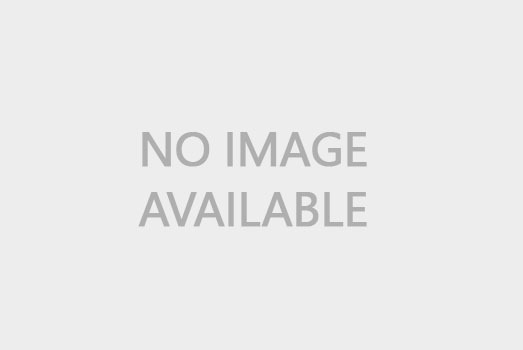 Located in the eastern coastal region of China is the prosperous Zhejiang Province. Its history dates back to 7,000 years, with early settlements of the Kuahuqiao and Hemudu civilizations and the introduction of rice paddies into the world. Today, the Province is a pleasant juxtaposition of rural simplicity, urban modernization, ancient monuments, and tropical islands. Being rich in natural resources, it has been a busy commercial and trading zone since ancient. Consequently, the local people are literate, tourist-friendly, and helpful. 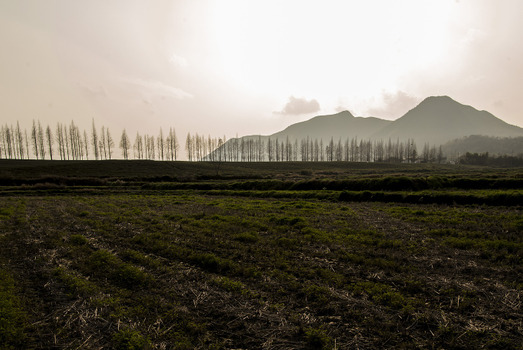 The diverse landscape of the Zhejiang Province makes it an ideal tourist destination. Mountain ranges like the Putuo Shan, Mount Yandang, and others dominate the western, southern, and northern districts of the Province. 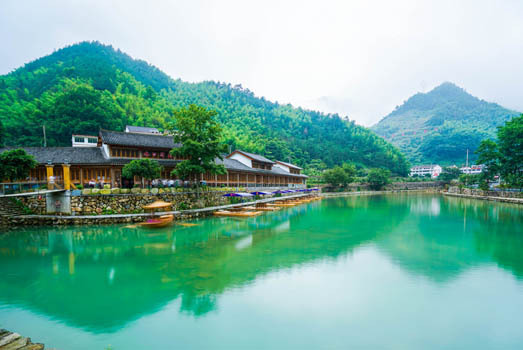 The Qu and Qiangtang Rivers have their sources in the mountains and move into the central plains, leaving a trail of picturesque waterfalls, lakes, and abundant flora and fauna along their paths. 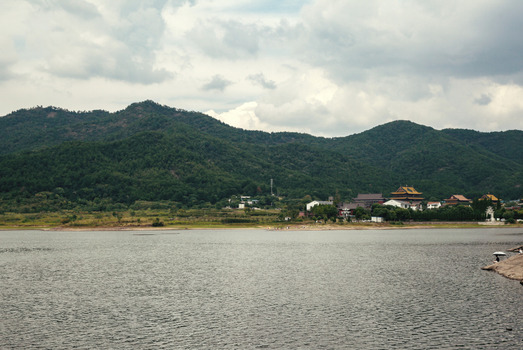 The most famous tourist attraction in the region is the West Lake Scenic Area, which is a UNESCO World Heritage Site. It is a paradise of dense primeval forests, waterfalls, colorful rock formations, ancient Buddhist temples, monuments, grottoes, rare animals, color-changing lakes, etc. that attract naturalists, trekkers, photographers, tourists, Buddhists pilgrims, and adventure-sports enthusiasts. The area also has the largest number of medicinal herbs that are still used in traditional Chinese medicine. The central plains offer a different scene but an equally beautiful one. There are many lakes and islets dotted across the plains that contribute to the fertility of the land. Hence, the region is lush with grasslands and rice paddies. In the spring season, when the wildflowers are in full bloom the vast grasslands look like a carpet of color. There is an incredible number of 3,000 islands and countless bays along the eastern coast of the Province. 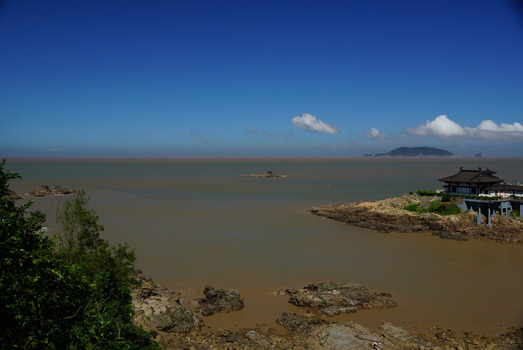 The Zhoushan archipelago is the largest group of islands and has many tourist resorts and attractions. Temperatures in the Province range between 15oC in the winter season and 30oC in the summer season depending on the terrain. But on the whole, the region has a moderate climate throughout the year, which includes both the eastern coastline and the tall mountain peaks of Putuo Shan. The Province has a total population of 54 million, with the largest density being in the urban areas. 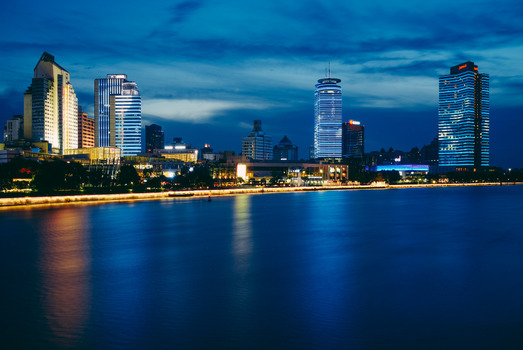 Hangzhou, the capital of Zhejiang Province is a bustling and modern city with high-rises and many amenities. Its well-developed infrastructure and tourist-friendly culture have granted it the distinction of being the prospective 2022 Asian Games venue. 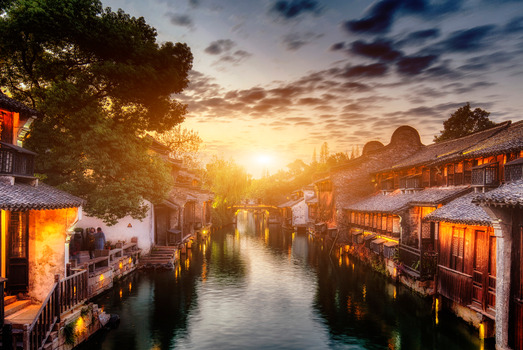 The Hangzhou City borders the West Lake Scenic Area on one side and the Qiantang River on the other so it is the perfect base for sightseeing in the vicinity. The city of Ningbo is a land of ancient pagodas, exquisitely landscaped gardens, ornate pavilions, and a rich historical significance. It has well-maintained roads so that sightseeing is easy. Other major cities include Jiaxing, Shaoxing, Jinhua, Quzhou, etc. that have a tourist-friendly environment. 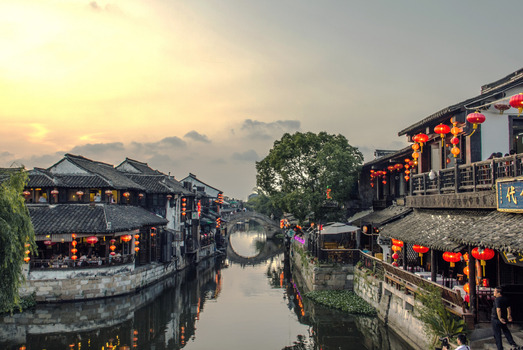 The Ningbo City in the Zhejiang Province has wealth of ancient structures that showcase the artistic and architectural talents of the local people. The Tianfeng Pagoda in the city is a 7-storied architectural marvel built during the Tang Dynasty. Other temples include the Baoguo Temple on Ling Shan (mountain), Tiantong Temple, and Ashoka Temple that are 1,600-1,700 years old. Being one of the big producers of tea and silk in China, the Zhejiang Province has been a thriving commercial hub since ancient times. There is ample evidence of its prosperity at the China National Silk Museum and the Longjing Tea Museum located in Hangzhou. The Hu Qing Yu Tang is a museum and a pharmaceutical company of traditional Chinese medicine. 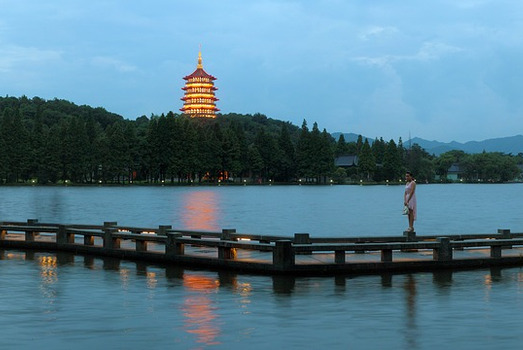 Tourists visiting the West Lake consider Hangzhou City’s proximity very convenient as a base. The Hangzhou Airport serves most of the national airlines and has regular International connections with major cities in Europe, United States, East Asia as well as Southeast Asia. There are 7 major airports serving 185 domestic and International carriers. The Zhoushan archipelago is one of the most sought-after tropical holiday destinations. It is blessed with warm sea waters, hilly islands, marine sports activities, ancient monuments, and state-of-the-art resorts. There is a convenient ferry service between the Zhoushan Islands and Baifeng Town on the mainland. 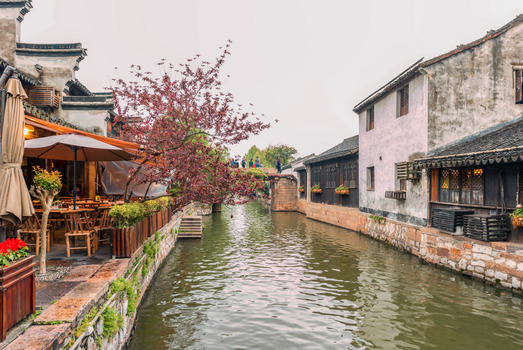 About 80Kms from Hangzhou is the ancient Wuzhen Water Town. With crisscrossing rivers and hundreds of bridges, it is a charming town that looks like a beautiful painting. The town has a long history for producing the finest qualities of silk. 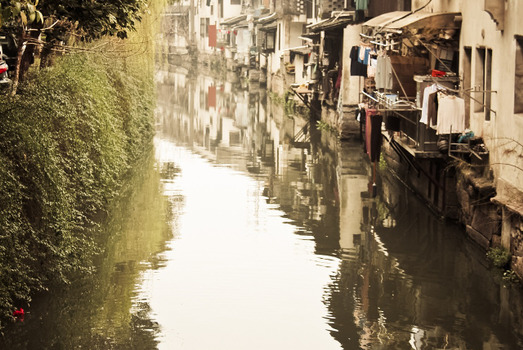 Fish, pork, and rice are the staple diet of the people in the Zhejiang Province of China. Some of the specialties include the mud crab cooked in Shaoxing wine, fried pork, stewed meat with vegetables, and fried shrimp. These are usually accompanied by the local rice wine. The Longjing shrimp is cooked in Longjing green tea and is considered one of the most delicious recipes. But the award goes to the dish called the “hundred birds facing the Phoenix”. This is an elaborate dish cooked in an earthenware pot. A whole chicken (Phoenix) is placed in the center and is surrounded by as many dumplings (birds) as possible. This whole arrangement is steamed together with various sauces and is considered a Zhejiang classic.